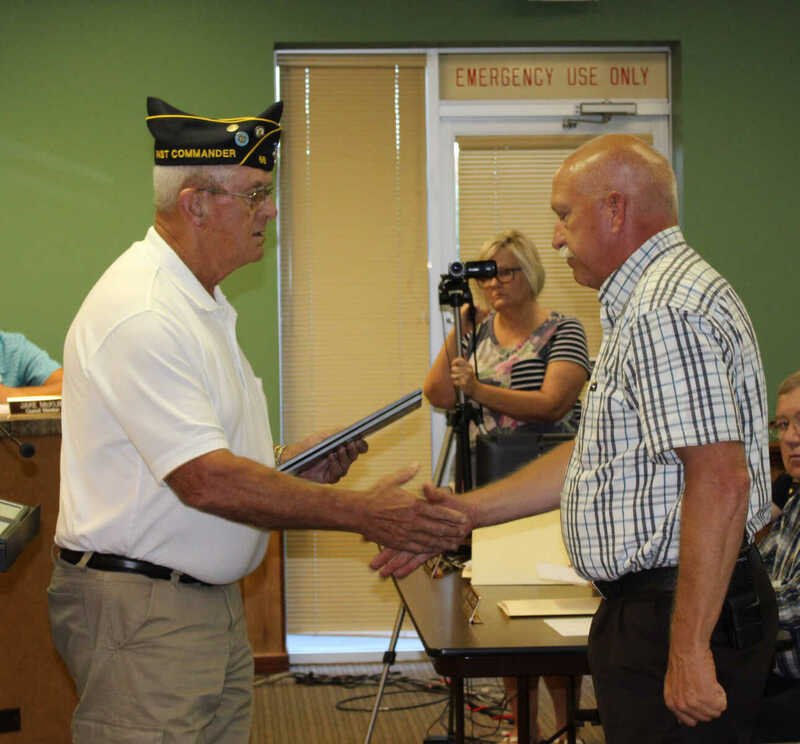 Former Kennett Mayor and Samuel T. Adams VFW Past Commander Roger Wheeler presents plaques to Kennett Fireman Jimmy Don Butler, during the City Council meeting Tuesday night. 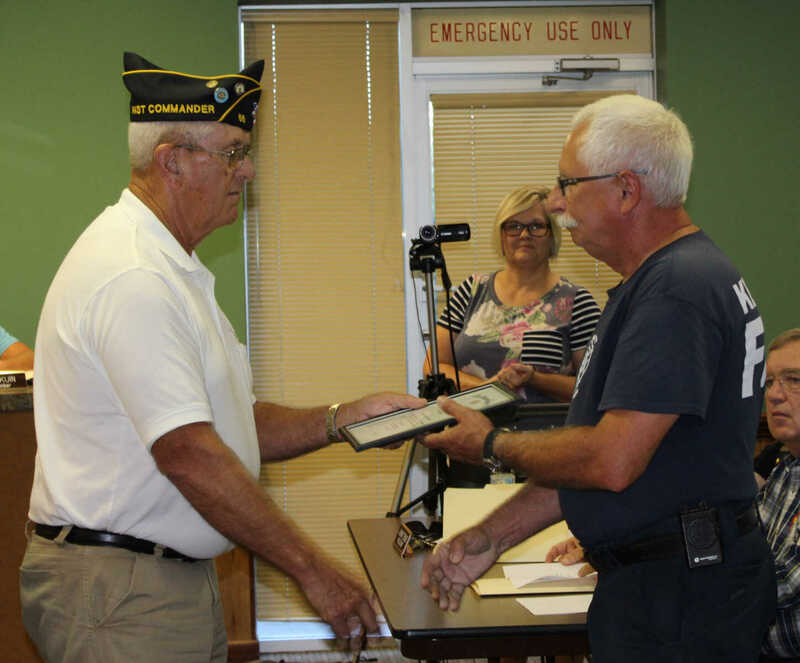 Former Kennett Mayor and Samuel T. Adams VFW Past Commander Roger Wheeler presents plaques to Kennett Fireman Bill Monroe, during the City Council meeting Tuesday night. 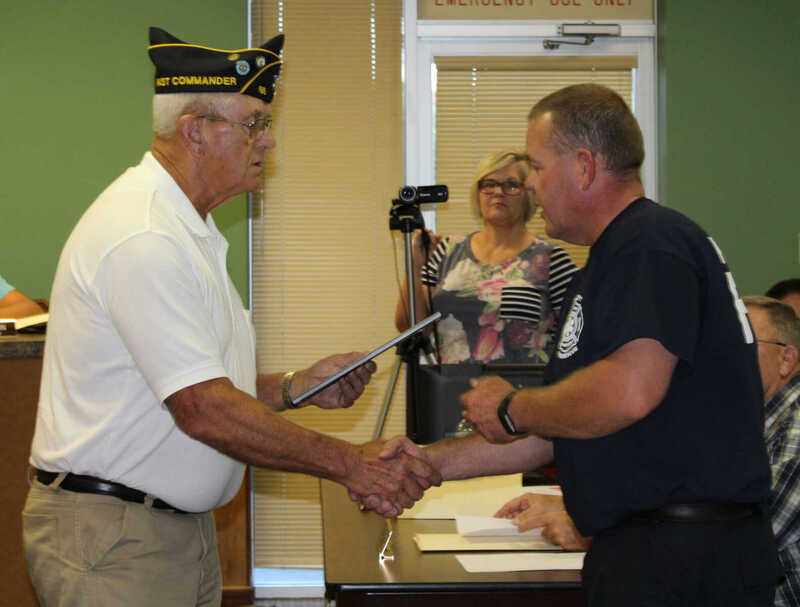 Former Kennett Mayor and Samuel T. Adams VFW Past Commander Roger Wheeler presents plaques to Kennett's Fire Chief John Mallott, during the City Council meeting Tuesday night. Also awarded was Fireman Lance Davis. Davis was not present. Kennett Mayor Bob Hancock, at left, is recognized during Tuesday night's City Council meeting. 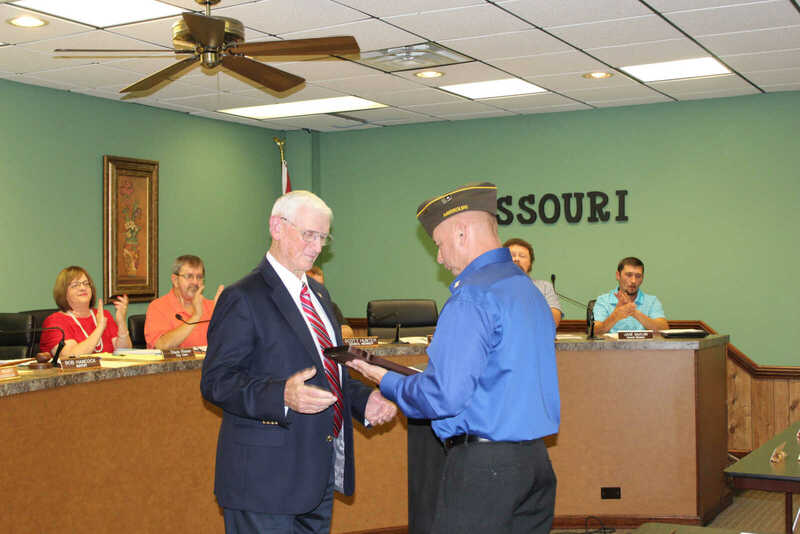 Presenting the award for excellence is VFW Post 5443 Vice Commander Jim Ingram, at right.